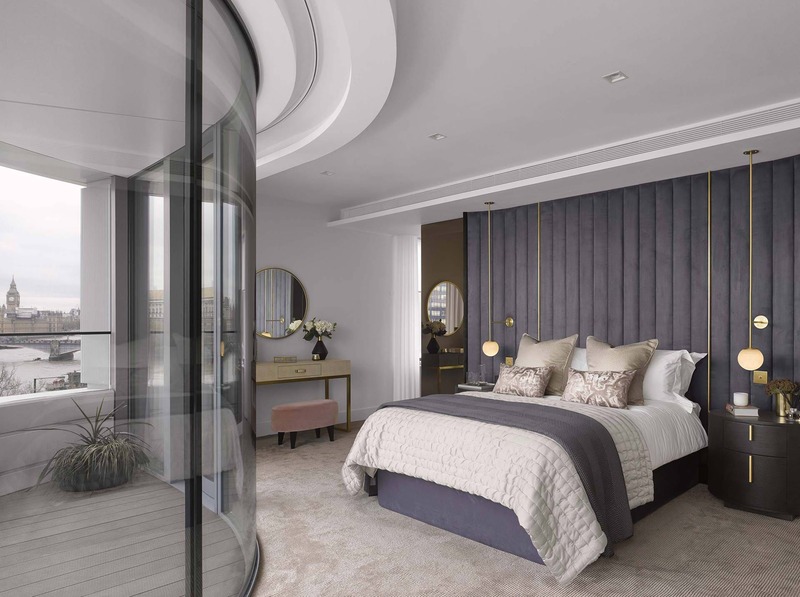 This iconic new development on Albert Embankment has a striking curvilinear form. 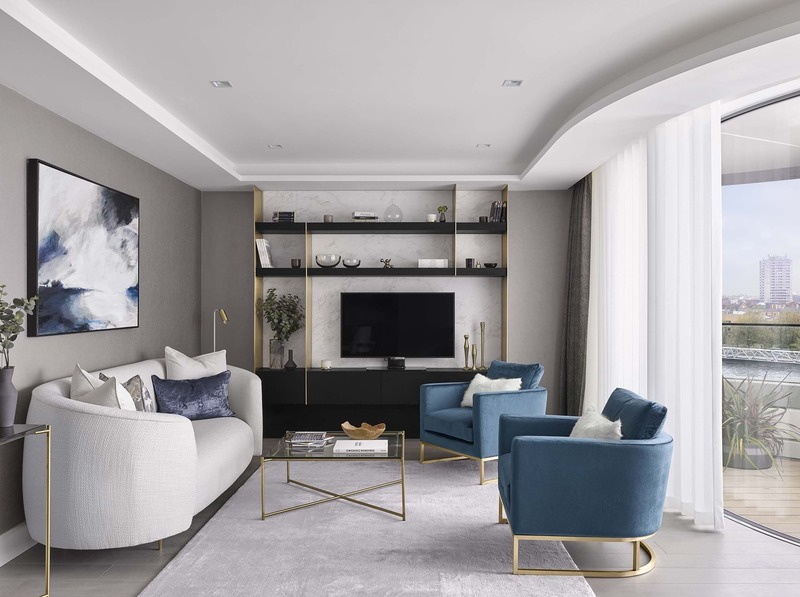 We were commissioned to design a tenth floor three bedroom show apartment that would set the benchmark for future designs. Our concept for the show apartment celebrates the contextual setting and outer form. 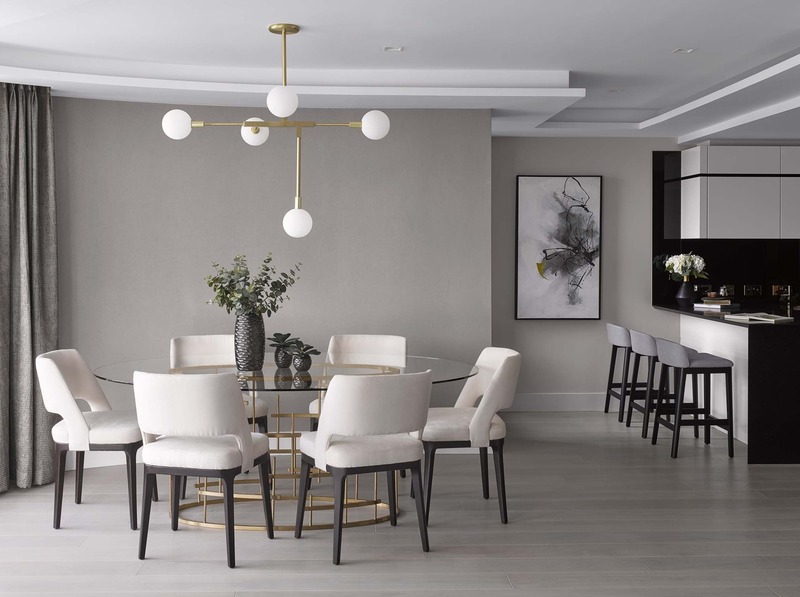 We have created an interior which suggests depth and richness whilst introducing a soft layer of romance to the space. 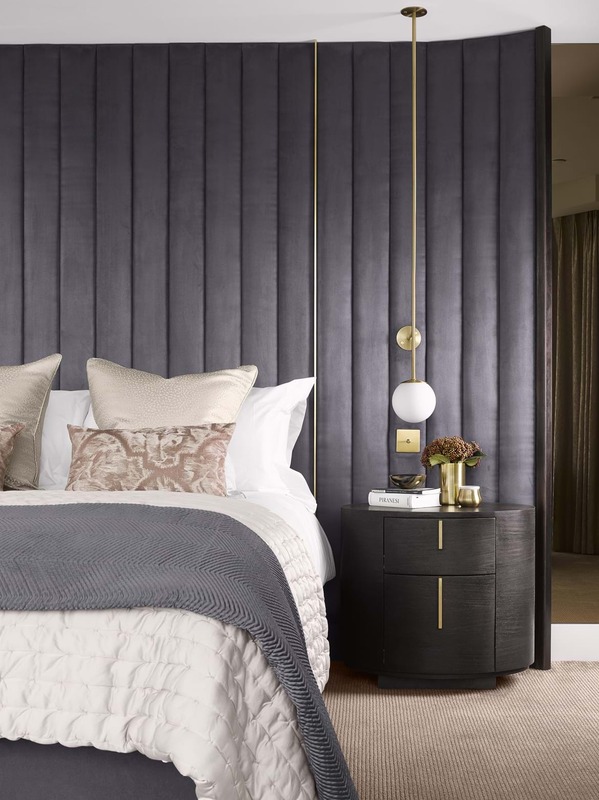 Bespoke joinery and the headboards capture art deco forms but have been re-imagined in a contemporary way.